Based on reviews from 7,957 users. Learn how our rankings work or see our guide to Nike Tanjun sneakers. Updated Apr 2019. Sneaker brand giants have been continuously changing blows in the sneakers battlefield for their most innovative and stylish footwear designs. Most of these big brands hype-up their classic silhouettes by marketing the history of the shoe, or redesigning it with contemporary technologies or collaborating with known names and releasing it in limited numbers. These techniques have obviously worked as many consumers were trapped to gimmicks. Most brands would re-launch their heritage profile in various colorways such as white, black, red, blue, green, yellow, pink, brown, orange, purple, silver, or gold and introduce it as old but new pair with a sense of exclusivity as these kicks are offered only in limited pieces. Here, we will tackle about one of the Nike silhouettes that falls towards the less hyped profiles, but hailed as the top-selling sneakers in 2017, the Nike Tanjun. I am quite sure you never heard of young kids, and Sneakerheads waited in line just to have a pair of this less favorite yet highly functional sneaker. Despite the trend of scarcity and difficulty to acquire will make a sneaker popular, the Tanjun was able to secure the most popular kicks for its ubiquity, as it makes it a safe choice for practical buyers looking for appealing, low-priced, durable, and comfortable sneakers. Also known as the "mom's favorite shoes," the casual sneaker Tanjun got its recognition as the favorite go-to kick of practical mothers suitable for their everyday wear. This sneaker was designed as a sequel to the successful Nike Roshe Run, also called as Roshe One. Tanjun is a Japanese vocabulary that translates 'simplicity' in the English language. It displays a mesh base that forms a diamond grid with a noticeable Nike Swoosh on both sides. The midsole resembled the Roshe but added with wave hits at the mid-section to improve the aesthetics. Despite its modest style, many fans and onlookers were impressed by its versatile appeal with reliable comfort. It slowly gained its recognition for its simplicity and tame design making it an easy option for moms and wearers who want an all-around sneaker. This kick is very comfortable and provides ample support for all-day grinding even for wearers with wide feet. Most owners of this model highlighted the lightness, flexibility, and breathability of these Nike Tanjun shoes. It displays stylish design dressed in a sleek color palette. Most on-the-go users love that the Tanjun is easy to clean. The durability is unquestionable even when worn every single day. With a price point of $65, this kick is considered a steal by many reviewers. The interior of this kick is made of soft fabric for lavish feel. The single piece, flexible mesh on the upper provides breathability and style. The insole provides ample cushioning. The tongue and the collar are slightly padded for added comfort and durability. It has durable Phylon midsole for cushioning. The Injected Unit sole delivers lightweight cushioning. This reasonably-priced sneaker is available at $65. Sizes are offered from 5 to 12 US in women's and 6 to 15 US in men's both in medium width. This pair generally runs true to size. Few notable colorways offered are the Black-Gold, Gray-White, Gym Red-White, All Black, and Gym Blue-White. In 2017, Nike scrapped the traditional lace-up and came up with the easy to slip on version of the Tanjun silhouette. This fuss-free version stayed authentic to the simplicity and straightforward design of its ancestor. The elastic collar of these women's Tanjun Nike shoes is aided with the heel pull loop and the elastic band on its forefoot aid the wearers in putting on this kick. This kick looks great when paired with shorts or jeans with plain tees for casual everyday fashion. For a smart casual look, you may pair this kick up with a mini or long skirt for a more feminine getup. The Nike for women Tanjun casual sneakers has a price point of $60. Sizes are offered from 5 to 12 US in medium width. This model was engineered for everyday casual activities and long walks. This kick carries the same materials and minimalist design as its predecessor but transformed with a more girly element, such as the floral pattern on the upper. These women-exclusive sneakers are presented in striking colorways that can be matched up easily with any outfit, from the basic white tees and jeans to floral skirt with the button-down top. These Nike Tanjun for women's sneakers are offered at a pocket-friendly price of $70. Nike presents this from sizes 5 to 12 US in medium width. To keep its wearers stylish even during the coldest days, the brand reworked the Tanjun into winter-ready footwear. This high-top version is made of nylon upper lined with fleece to keep the feet warm and dry. Meanwhile, the adjustable lacing system made with thick, ropelike laces and lace loops delivers personalized fit to its users. To make it appropriate for the slushy terrain, the outsole of these Nike shoes for women's called Tanjun shoes were converted into more rugged EVA outsole for enhanced durability and traction. This mid-top kick with utility look can be worn with any winter-ready attire and can be worn loose or tightened to keep the feet warm and dry. This budget-friendly kick is offered at $85. Nike offers this in sizes 5 to 11 US in medium width. Colorways available are Black-Anthracite, Burgundy Crush, and Black and White. The upgraded version of the Tanjun is made of breathable, lightweight, single-piece mesh upper dressed in colorful hues perfect for dressing up or down. This affordable kick delivers reliable all-day comfort and coolness especially during the warm weather and can function as casual kick as well as one's trainer. Although dubbed as 'Premium,' this model is offered at pocket-friendly price of $70. Sizes are from 6 to 15 in men's range while women have sizes 5 to 12 US in medium width. One notable colorway is the Wheat-Light Black-Bone. This less chunky version of the Nike Tanjun displays textile or mesh upper to keep the comfy and lightweight strides without giving up the breathability. This time, Nike added thinner tongue and its signature technology the Flywire cables to provide better support and secured fit. This low-top stylish, running-inspired kick will surely elevate one's everyday attire for its two-tone mesh or textile upper. The color-blocked Tanjun Racer will add a plush element to one's attire such as joggers, denim jeans, shorts, or even with a tracksuit. This reasonably-priced kick is offered at $70. Women have sizes from 5 to 12 and men have sizes from 6 to 15 US both in medium width. This model fits true to size. Few of the popular colorways are the All-Black, Wine-Pink-Cactus, Red-Black, Blustery-Sail-Volt, Dust-Black-Cobblestone-Solar Red, Gym Blue-Solar Red-Light Bone-Obsidian, and White-Ultramarine-Solar Red-Black. This lace-up kick displays bold knit upper with EVA midsole and waffle pattern outsole for reliable traction. This sneaker looks best when paired with denim or sweatpants that will surely keep you in style in the city pavements. Without giving up the comfort, the brand injected several comfy elements to keep its wearers cozy with each of their strides. This lightweight kick weighs 283 grams and is inserted with light padding on the collar and tongue and fabric lining for better in-shoe feel. The price point of this model is at $65. Sizes offered from 6 to 15 in men's sizing while women can pick from sizes 5 to 12 US in medium width. Popular colorways are the Gray-Black, Red-Navy Blue-White, Red-Black, and Provence Purple-Orange Pulse. This mid-top version of the Nike Tanjun for men's shoes have remained lightweight, comfortable, and stable inserted with elements suited to be called as an all-weather shoe. Sometimes called sneakerboot, this kick displays a clean look that can be worn for practically any casual occasions. These Nike Tanjun for men's athletic shoes are made of waterproof textile upper, and reflective details allow it to be worn on wet weather conditions and during at night. The smooth upper of this mid-top kick makes it a nice pair of shoe for a smart casual look. Wearers can certainly match this kick up with a pair of denim, slacks, or any business-related events. These Nike for men's Tanjun shoes are offered at $80. Sizes are exclusive in men's range from 6 to 12 US in medium width. Colors presented are the Black-Anthracite and Dark Gray-Black-Green Glow. When did Nike launch the Tanjun silhouette? Nike introduced the Nike Tanjun in 2015 as the brand's attempt to re-create the success story of the popular lifestyle kick called Nike Roshe Run. What is the meaning of Tanjun? Tanjun is a Japanese word that means 'simplicity.' This kick was inspired by the simplicity and straightforward look of the equally popular silhouette - the Nike Roshe Run. Can we use Nike Tanjun for running? Because of the well ventilated and cushioned design of the Nike Tanjun, you may use the Nike Tanjun for standard running and walking on a treadmill, roads, and concrete pavements. You may also use this model for other activities at the gym such as weightlifting, rowing, and stationary biking. Just bear in mind that these kicks are not designed to be worn on rough terrains as it may cause major damage to the outsole. What are the Nike Tanjun sneakers for? Although molded from running shoes, the Nike Tanjun are designed to function for everyday casual use, such as running errands, going to work or school, traveling, or for chilling out with friends. Nike designed this to the shoe of choice for buyers looking for a versatile kick with a sporty look. How do you wash the Nike Tanjun? Remove the laces from the shoe and soak it in a soapy solution made of mild detergent and lukewarm water. By utilizing a soft-bristled brush, remove any visible dirt found on the outsole, midsole, and the upper of your sneaker. Dip your soft-bristled brush in a soapy solution and brush the outsole and the midsole. Dry it using a clean, soft cloth after. Air dry it under a shade and avoid placing it under direct sunlight or inside a machine dryer. Yes, Nike Tanjun is very popular and was even named as the Most Popular Shoe in America in 2017, even surpassing the Nike x Off White or Adidas Yeezy collaborations. The Nike Tanjun has proven that you can easily access the most popular sneaker anywhere without the need to download a specific app on your phone or camp out the store overnight or pay ten times fold the original price for the resellers' price. Is Nike Tanjun a good running shoe? Nike Tanjun is generally a nice pair for standard running on pavements and roads but not recommended for terrains as these kicks are not designed for staunch terrains. What is the difference between Nike Tanjun and the Nike Roshe One? Looking closely, Tanjun displays seamless mesh construction found throughout the sneaker while the Roshe One is made of several panels stitched together to create a supportive and flexible upper. Also, the Nike Tanjun has a suede overlay on its eyelets while the Roshe One has metal eyelets and extra holes on the tongue for added appeal. Another difference is the Nike Roshe One has two pull loops which are lacking in the Nike Tanjun, but Nike designed the lacing system of Tanjun to be easy to slip-on. Lastly, the Roshe One has slightly higher ankle collar height compared to the Tanjun. Are the Nike Tanjun shoe run true to size? The Nike Tanjun and majority of its variations run true to size. For concise and detailed information about the Fit and Sizing of these sneakers, you may visit each of these models' product pages on our website. Where are the Nike Tanjun made? Initially, all Nike shoes are made in the US alone. However, to cut overall expenses, the company decided to contract manufacturers all over the world. Most of the Nike sneakers are fabricated in almost 142 factories located outside the US. Most of the factories are found in Asian countries such as China, Indonesia, India, Taiwan Vietnam, Thailand, Philippines, and Malaysia. Which pair of shoes is considered the most comfortable: Adidas NMD, Nike Roshe One, or Nike Tanjun? Sizing: Available in Men's and Women's size ranges. Upper: Knit upper that hugs the feet comfortably, while providing ample ventilation and contributes to overall lightness. Midsole: It has Boost cushioning that is considered the most responsive cushioning of Adidas. Sizing: Available in both genders' sizing. Upper: It has a lightweight mesh textile upper for maximized durability. Sizing: Offered in Men's and Women's ranges. Midsole: Its full-length Phylon midsole provides lightweight cushioning and absorbs shock effectively. Special Editions: Nike Tanjun ENG, Nike Tanjun Chukka, Nike Tanjun Racer, Nike Tanjun Premium, Nike Tanjun Slip-On. Where to get women's and men's Nike Tanjun shoes? Nike Tanjun and other iterations from the Swoosh can be bought in almost all their physical stores and online shops. There are also numerous partner retailers that sell the Tanjun, such as the Amazon, eBay, Eastbay, Zappos, JD Sports, Caliroot, Footlocker, and many more. For more relaxed shopping experience, our vibrant team did the dirty job for you. We have collated thousands of reviews from all over the internet and summarized what most of the buyers thought of the Nike Tanjun shoes. You may type 'Nike Tanjun' in our search bar for the ranking of best Nike Tanjun present in the market. 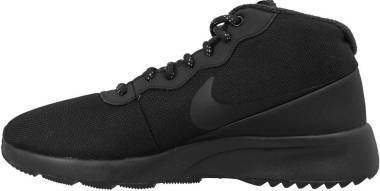 Are the Nike Tanjun durable? Although the Nike Tanjun has received mixed reviews about its toughness, this model is generally considered durable by most of its users. Engineered and manufactured by the Nike team, you may expect premium materials and quality craftsmanship to all their products. What is the price range of Nike Tanjun shoes? The Nike Tanjun collection is offered in a very budget-friendly price range from $60 to $85, that is why this model has gained the confidence of many moms and practical buyers out there without sacrificing the quality and comfort. The most affordable iteration is the women-exclusive Nike Tanjun Slip-On which is offered at $60 while the most expensive model is the winter-ready silhouette, the Nike Tanjun High Winter. 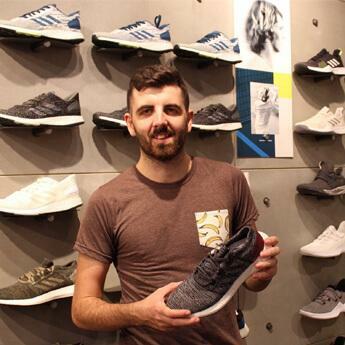 Danny is a sneakerhead turned sneaker industry expert that believes a good outfit begins from the feet up. His aunt currently isn't speaking to him for wearing a pair of kicks at his cousin's wedding. He spends most of his time trying to keep on top of the latest releases, hitting up his contacts and doing what needs to be done to secure his next pickup. Danny has been featured in prestigious publications such as The Washington Post, The Irish Times, Footwear News and the like. This shoe has recently been added to RunRepeat. There are still not enough reviews for us to assign it a CoreScore.